Tales from the Real OC (Really! ): MYSTIC Cover Reveal! 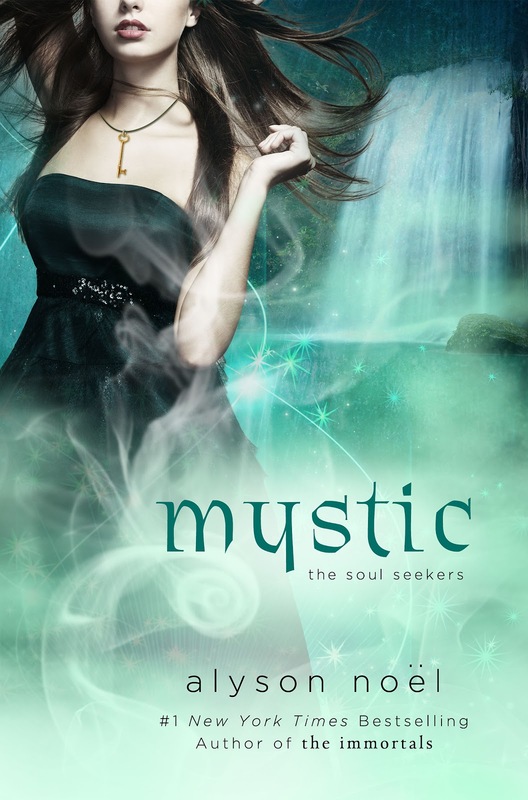 My publisher just released the cover for MYSTIC (book #3 in the SOUL SEEKERS series) and I wanted YOU to be among the first to get a sneak preview! Read the synopsis for MYSTIC HERE! I absolutely LOVE what my publisher did with this cover—it captures exactly what I’d envisioned for the book—and I really hope you like it too! I can’t wait to visit Charleston, South Carolina this weekend for YALL Fest and I hope you can join me and a group of amazing YA authors for lots of fun panels, signings and more—details on my events below! Alyson Noel (Immortals series), Elizabeth Eulberg (The Lonely Hearts Club), Stephanie Perkins (Anna and the French Kiss), Simone Elkeles (Perfect Chemistry), Jenny Han (Burn for Burn), Kathryn Williams (The Lost Summer). I can't wait to star reading it!!! Looks awesome!! this is my favorite cover !!! YAY!! Love the cover! I think I like this one the best of the series. Thanks, Sana--so glad you like it! !